On Friday, Hillary Clinton called "half" of Donald Trump's supporters "deplorables" — a comment for which she publicly expressed regret just a day later. Now, Trump supporters have a new slogan: Deplorable Lives Matter. Not surprisingly, some of the same backers who have also insisted that All Lives Matter are taking the phrase to a whole other level. And the adjective "deplorable" is pretty fitting. At a rally in North Carolina Monday, BuzzFeed's Azeen Ghorayshi spotted several Trump supporters holding "Deplorable Lives Matter" signs. This is a reference, of course, to Hillary Clinton's remarks that "you can put half of Trump supporters into what I call the 'basket of deplorables — racist, sexist, homophobic, xenophobic, Islamophobic, you name it." Now, this was an unfair statement: According to a recent poll, only 40 percent of Trump supporters think black people are inherently lazier than white people. That's less than half, so Clinton is guilty of a slight exaggeration here. Furthermore, it's difficult, if not impossible, to put more than one person into a basket, so her imagery wasn't quite right either. Clinton partially walked back the comments, admitting that "half" was an overstatement. Nevertheless, her comments became a rallying cry for Trump supporters, who began declaring their own deplorability on Twitter and selling "Proud to be a Deplorable" t-shirts. In this sense, Deplorable Lives Matter was probably an inevitability. That doesn't mean it's a good slogan, though. It is — like All Lives Matter — a faux-pithy response to the Black Lives Matter movement. But Black Lives Matter was founded, in part, to protest the disproportionate rate at which black people are shot dead by police (Black Americans are 2.5 times more likely than white people to be shot and killed by a police officer, according to a Washington Post analysis). 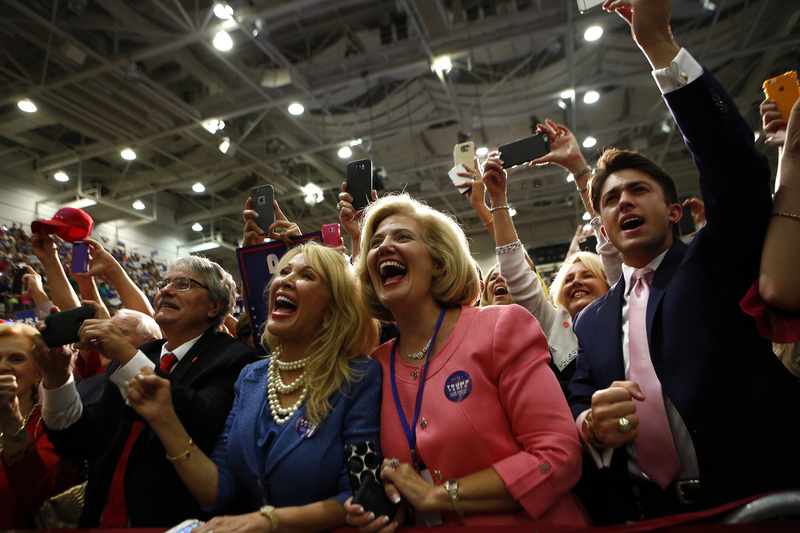 Around 87 percent of Trump's supporters are white, and it's some of these Trump supporters who are, according to Clinton and themselves, deplorable. So, "Deplorable Lives Matter" roughly translates to "White Lives Matter." But such a statement, while literally true, isn't actually worth saying, given that white people already enjoy countless advantages in America and aren't disproportionately at risk of being shot and killed by police. Deplorable Lives Matter might sound clever (emphasis on "might"), but it's ultimately devoid of substance and merit.